When I lived on the island of Bonaire, I was responsible for ministry to Latin America and the Caribbean. And I was passionate about reaching all who lived within the footprint of our broadcasts. When God sent us to Africa, my passion came alive for that continent. Since I've been back in Canada, I have realized with new urgency that our own country needs to hear the gospel as well. When we think of languages in Canada, we often focus on our two official languages. However, today Canada is so diverse that there is a need to focus on many languages that are spoken by immigrants. In days gone by, the majority of immigrants came from Europe. In the most recent census, there were more immigrants from Asia than from Europe. In addition to that, the wars in the Middle East have once again changed where people are coming from. Immigration is vital to Canada. Over 250,000 people arrive each year from around the globe as immigrants; and each one is an opportunity for the church. The question is, how do we engage them effectively? TWR Canada was involved in Canadian ministry long before I arrived back in Canada. Our previous president had a passion to reach into Quebec using media. He did a wonderful job of coming alongside the church using radio and television programs to share the gospel on a daily basis. In a province where there are approximately only 40,000 evangelicals, seeds were planted, and we saw fruit from our efforts. Our partner, Aujourd’hui l’Espoir, continues to do a wonderful job of integrating new believers into the local churches. Today we see ever-increasing responses to our web ministry. We’ve seen the number of people watching our television program grow from 30,000 per week to over 300,000 per week! While this ministry focuses on native Quebecers, we also receive responses from French-speaking immigrants. 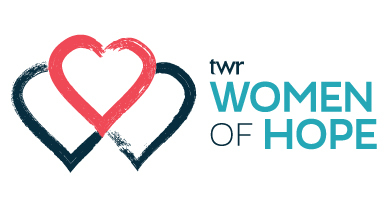 TWR Canada has also facilitated the production and airing of Low German Women of Hope programs in Ontario, Manitoba and Alberta. A few years ago, we were doing an evening event for TWR Women of Hope in Manitoba. Part way through the presentation a woman came in, huffing and puffing; she was late. After we completed the service, the woman shared the reason she was late. She asked, "Why did you plan this at this time?" We didn’t know why she was asking that question. She went on to tell us that she was late because she was listening to our weekly Low German Women of Hope broadcast on the radio, and she wasn’t coming until the program was over! In southern Manitoba, there are thousands of immigrants who speak Low German. This one program lets them identify with their old culture as they integrate into their new culture. This story was significant to me because I realized that we can play an important role in the changing demographics in Canada. We can be part of the process. In so many cases, we already have programs in the immigrants’ first languages. Those programs are often also produced in English, so English-speaking Canadians can listen to the same programs. Many immigrants are open to hearing about the gospel, especially in their early days in Canada, and they need social connections to assist their integration in their new country. Empowering Christians to connect with them and share the love of Christ with them not only meets their needs but is an excellent opportunity to reach them with the hope the gospel. We have been challenged to play a role in reaching out to the Aboriginal peoples of Canada. God has begun opening those doors, and we are asking you to pray that in God’s time we will be able to play a role in bringing a fresh and life-changing message in a format that will meet their needs. A few weeks ago, we had a banquet in London, Ontario. Two of those in attendance are going through Seminary on the Air, our intensive seminary-level program to train Chinese church leaders. Our primary use of this tool is in China, but presently we have over 150 students here in Canada! We also have home groups in Edmonton using Discipleship Essentials in the Urdu language, and we have supplied media players to immigrants from Myanmar, Iran, Iraq and more. Our mission field, our Samaria, has come to us. It is right at our front door; it is down the street. It is all around us. While we still need to go to the uttermost parts of the world, we also need to use the tools God has given us wherever and whenever we get that possibility. Our passion for immigrants, for our brothers and sisters in Quebec and for the Aboriginal people is becoming not just part of my DNA, it is becoming part of TWR Canada’s DNA.